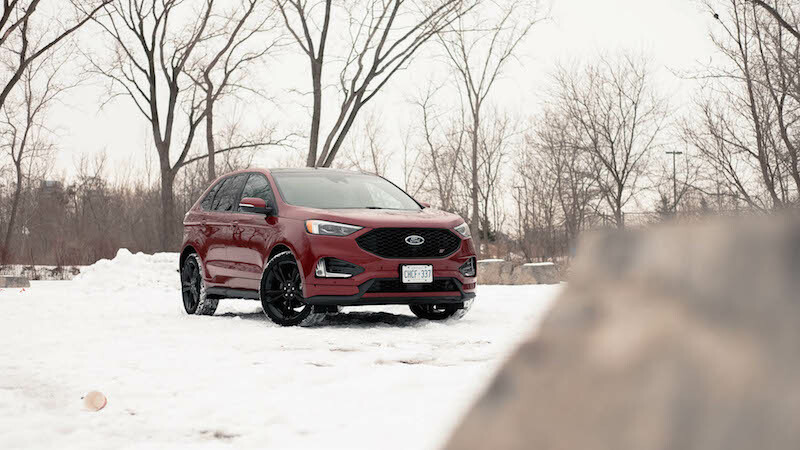 Ford’s announcement to shelve the remainder of their passenger vehicles in North America didn’t exactly come as a surprise. 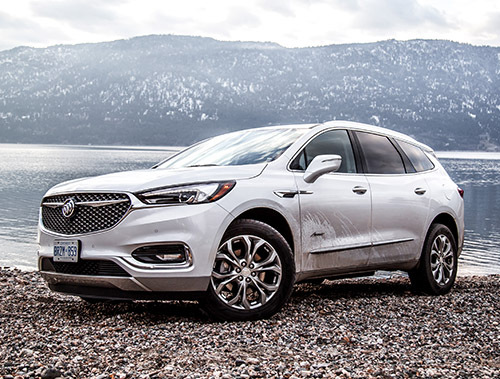 Demand in the home market for sedans hasn’t been stellar. Meanwhile SUV, crossover, and pickup sales have been soaring exponentially. 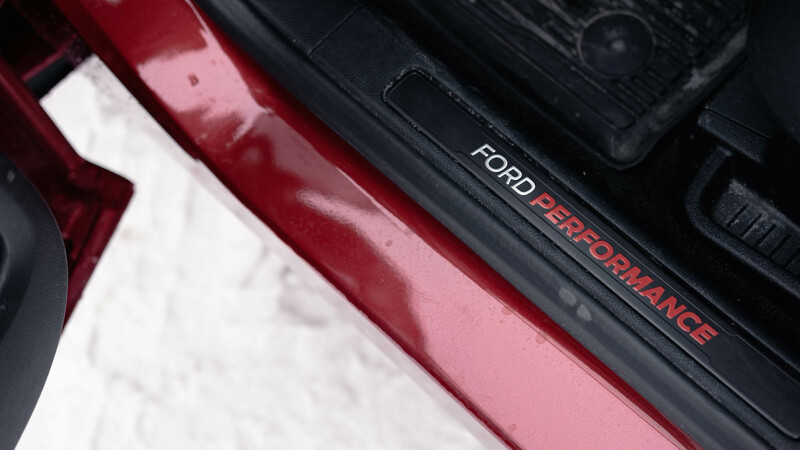 It was only a matter of time before the reckoning (read: bean counters) came for Ford’s sedans. 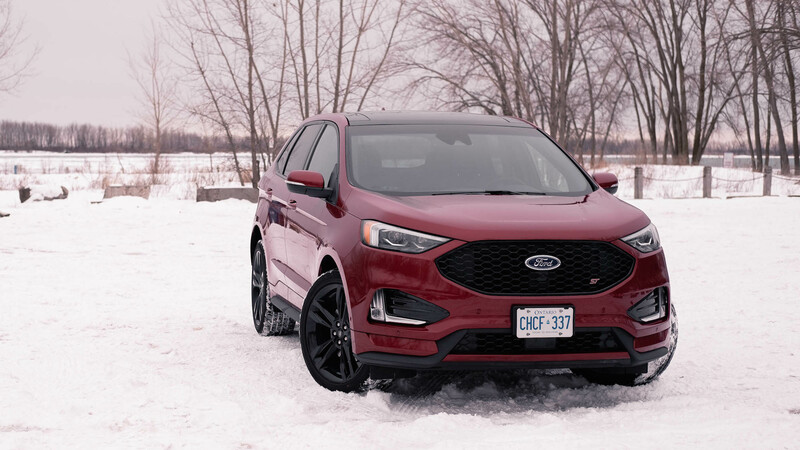 Yet this gave the engineers at Ford Performance justification to diversify their SUV lineup, and it all starts with the first-ever Ford Edge ST. The Edge has been injected with the signature ST hormones, jettisoning the three bar grille in favour for a mesh one. There’s a bit of Focus RS in the front valence’s shape too, adopting a more aggressive look than the bog standard version. 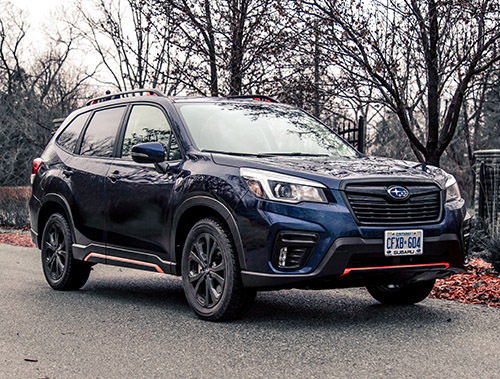 Out back, the liftgate has been redesigned to house new tail lights that are no longer are connected in the middle. Furthermore, the Edge ST receives an exclusive bumper to house a pair of awkward looking trapezoidal molded exhaust tips and overall, it looks like a proper sports SUV. Mission accomplished, if looks were the only part of the equation. There’s more than meets the eye with the Edge ST, as Ford Performance has done their number on the drivetrain. 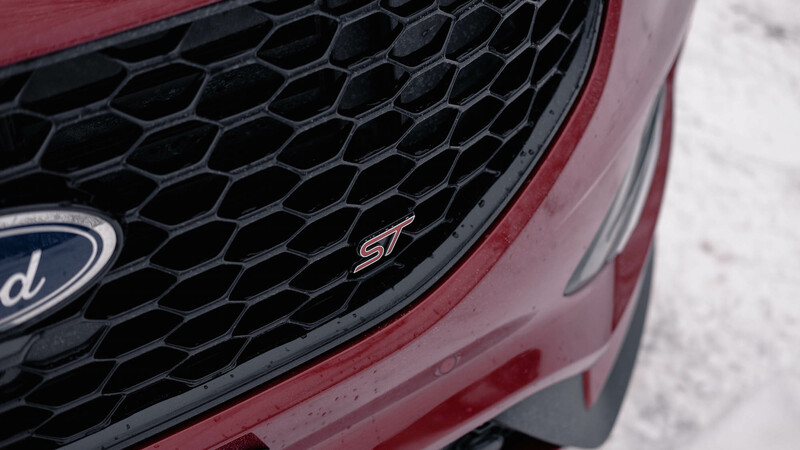 Starting with the 2.7-litre twin turbocharged V6 found in last year’s Sport model, the ST ups the ante to 335 hp, a 20 hp gain. 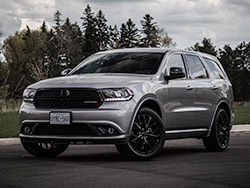 The suspension has been beefed up with 12 percent stiffer springs in the front and 20 percent in the back. 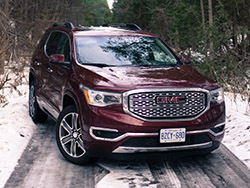 Anti-roll bars have been swapped for stouter versions resulting in a 60 percent boost in roll stiffness, and a new 8-speed automatic transmission co-developed with GM routes power to all four wheels. Everything sound familiar? That’s because the powertrain is identical to the Lincoln Nautilus, the Edge’s upscale platform brother. 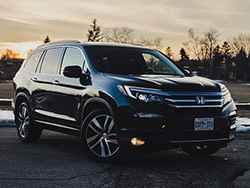 Despite sharing the same underpinnings, the two vehicles couldn’t be more different. 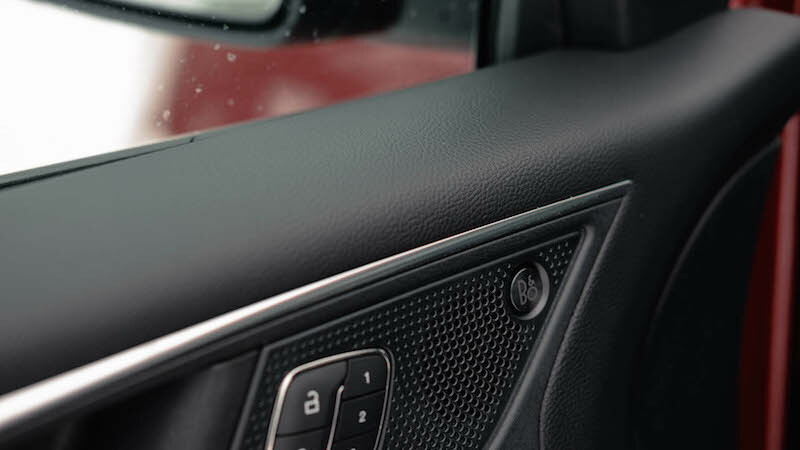 While the Nautilus prioritizes comfort and ride quality, the Edge sets its sights on performance. 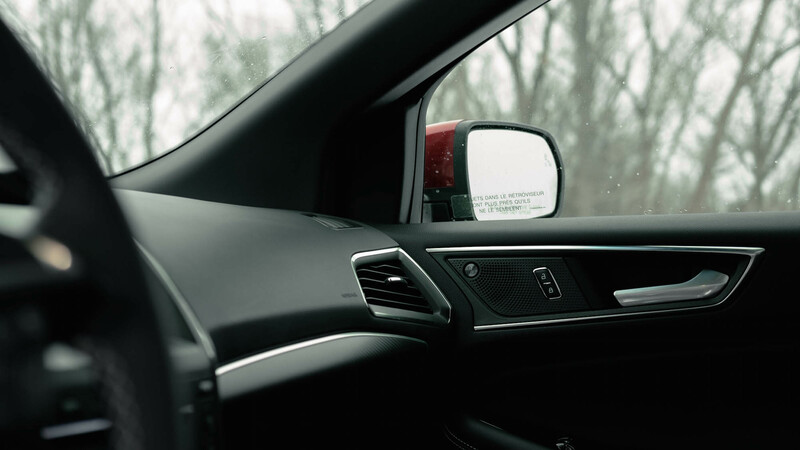 Step behind the wheel and the difference is night and day. 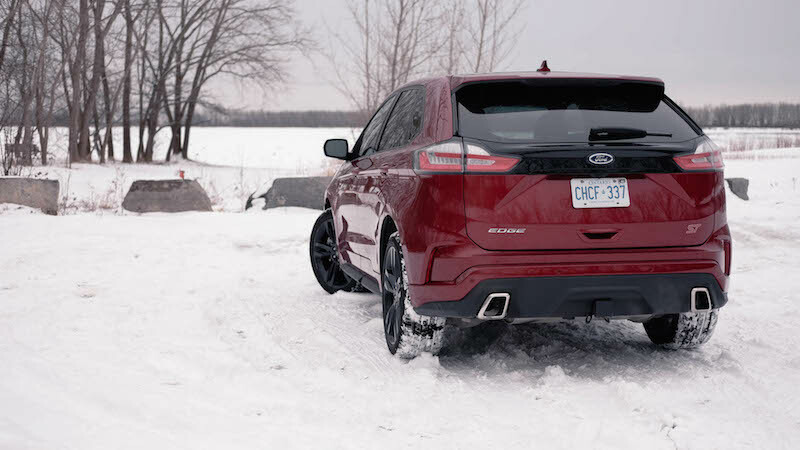 The 2.7-litre feels like it has got an extra shot of adrenaline in the ST. Mash the throttle and the engine responds, eager to hustle, and makes full use of the 380 lb-ft of torque from a mere 3,000 rpm. It’s not the fattest powerband with the turbo wheezing out at 5,500 rpm but it’s still enough to make the Edge ST feel quick. 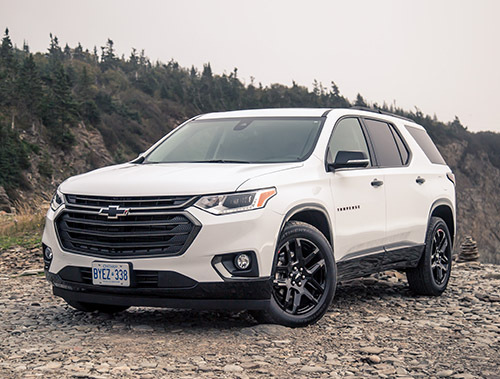 Increased capacity brakes keep things in check in a pinch too, with upgraded calipers grabbing larger rotors tenaciously to reign in the SUVs porky curb weight. The steering is decidedly more responsive as well, providing a fair amount of feedback for an SUV of this calibre. Throw the Edge ST in a corner and the upgraded suspension will hold its own, keeping the body motions nicely controlled. 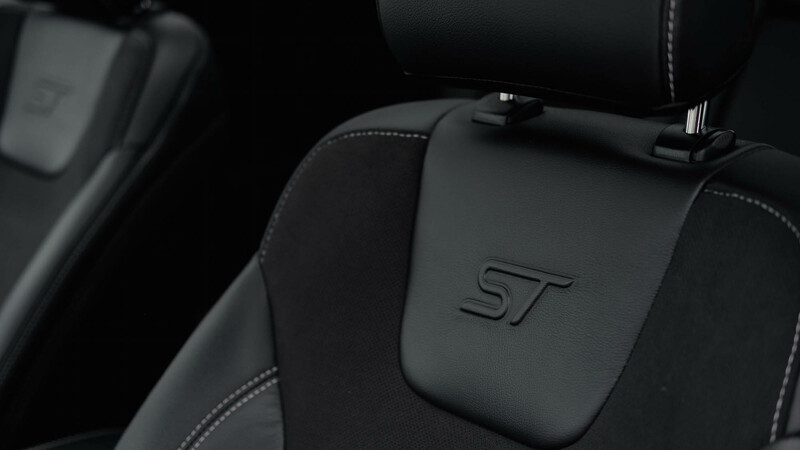 Inside, the driver can expect Alcantara and leather sports seats with extra bolstering, courtesy of the ST namesake. And in case you forgot you spent an extra pretty penny, they are embroidered with ST badges too. 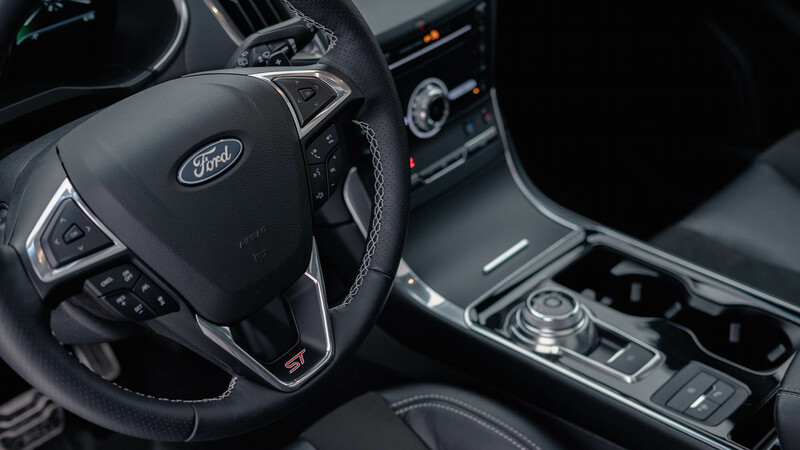 The performance reminders don’t stop there with Ford Performance stamped on the door sills and an ST badge on the steering wheel. I wish Ford used better materials to distinguish this sportier model aside from the Alcantara inserts, and the egregious use of cheap plastic distracts from the otherwise nicely appointed cabin. 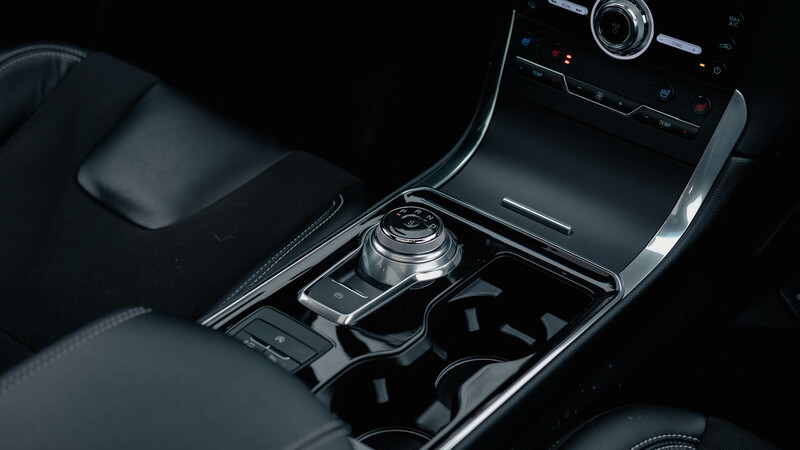 Sure, it lacks the premium touch like the Lincoln (not that we expected wood and leather) but all the important features make an appearance here including a Bang and Olufsen sound system and all the safety features you can throw at it (yes, even Active Parking Assist). 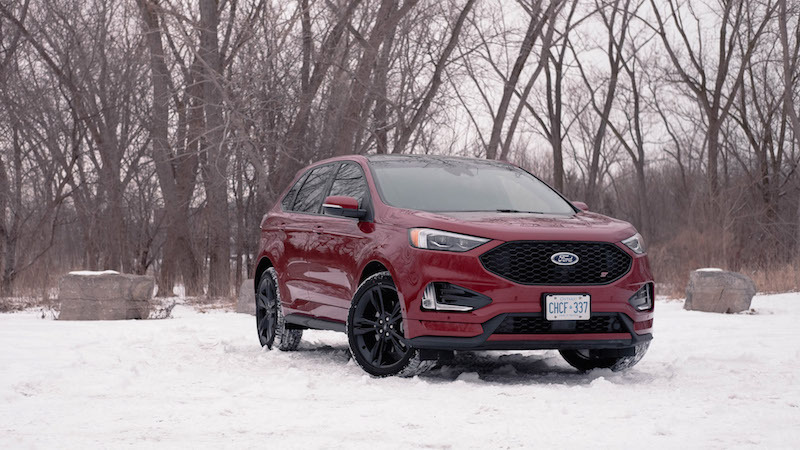 At an as-tested price of $58,189 (just $10,000 shy of the similarly-equipped Nautilus), the Edge ST presents a fair value case for a sports SUV. 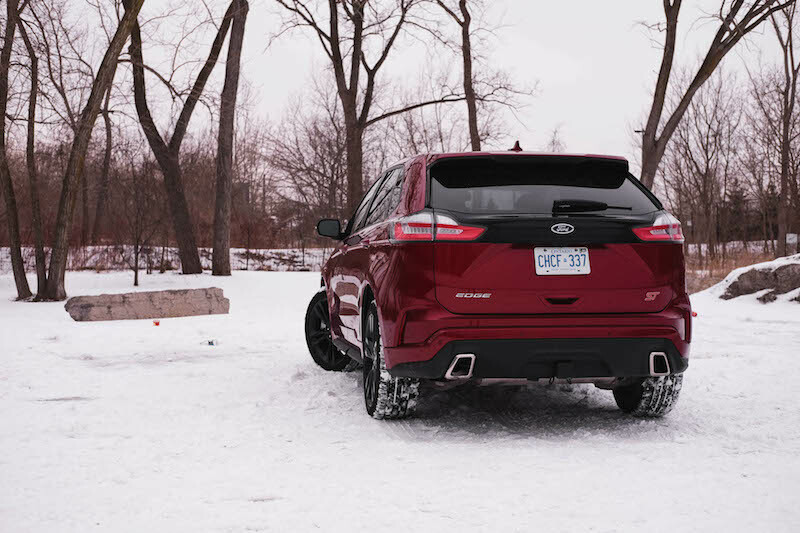 Offering the gamut of tech features and plenty of cargo and passenger space, there are few drawbacks to fault the Edge with - there is a reason why Ford SUVs are doing so well in Canada. 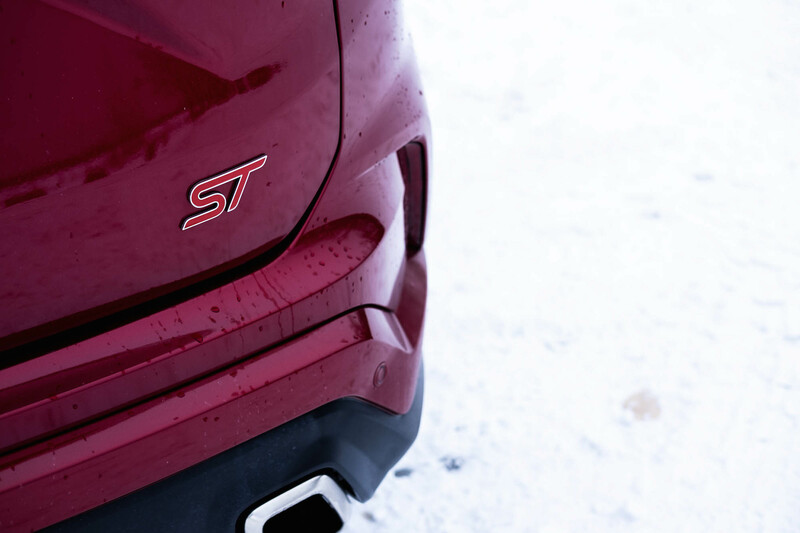 Yet on the flip side, I feel cheated by the ST badging. The Edge now joins a family of products like the Focus ST and Fiesta ST, both of which we heavily praised for their engaging driving behaviours and no-frills price tags. 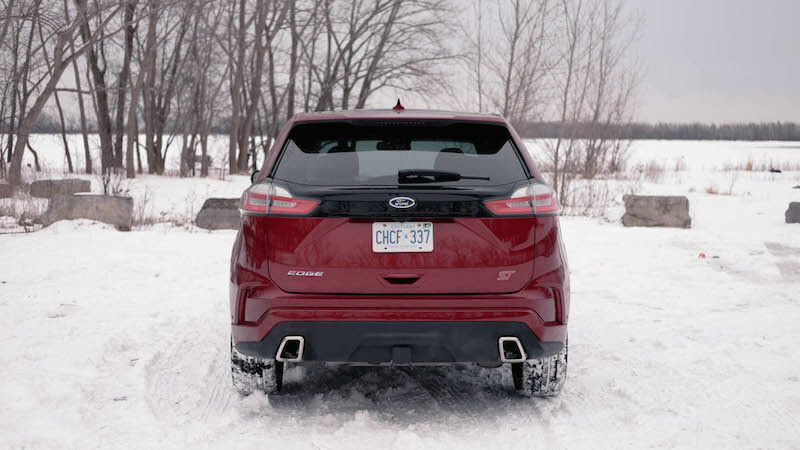 There’s an expectation that the Edge ST should be, for lack of a better term, edgier with a mandate to push the envelope and challenge the status quo. 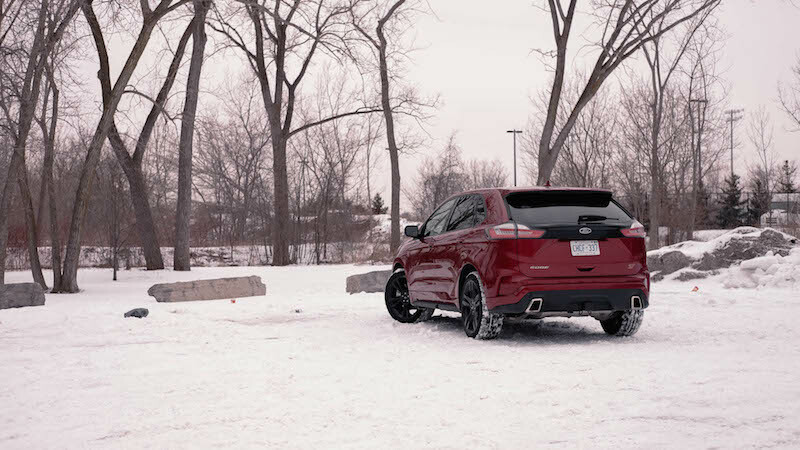 Instead, this mildly garnished Edge ST feels underbaked in the performance department, yet civil, reasonable athletic, and practical enough when driven around casually. Which ultimately begs the question: why not just choose the cheaper, more focused, and more value-oriented Edge Sport instead?